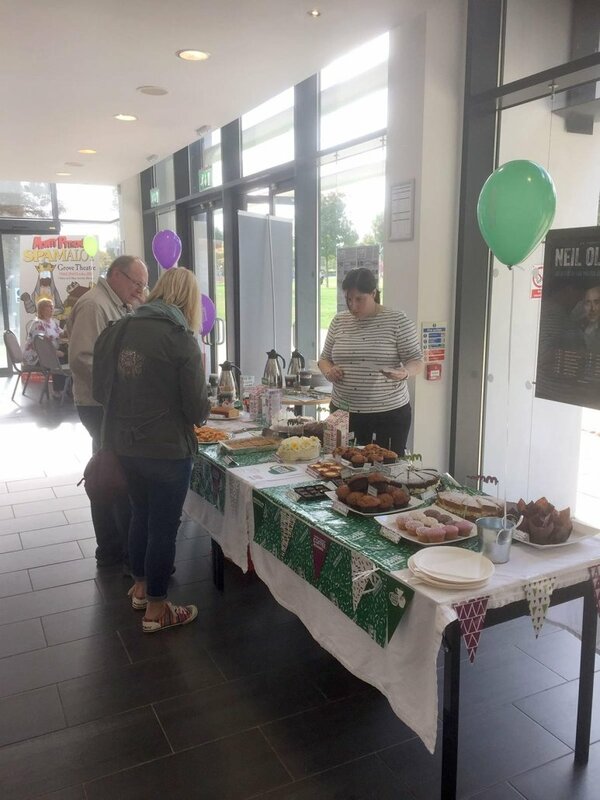 Firstly, there is no such thing as too much cake or homemade cheese straws at a Macmillan Coffee Morning at The Grove Theatre! What a great way to spend a Friday morning, with lovely people, lovely weather and incredibly lovely cake. All enjoyed in equal measures whilst helping to raise funds for this amazing cause. A big thank you to the Grove Theatre for their typically warm welcome and their dedication to supporting others with another fabulous Macmillan Coffee Morning. Great to see some Impacter’s getting out and about for the day – all part of our RAMPS! Also good to see Jackie Bean, Impact Operations Director and Harry Lindsay, BaseCamp Admin Volunteer, tucking into some of the scrumptious home-baked cakes, served by the lovely Ellie Garrett, Head of Operations at the Grove. If you missed the Macmillan event, don’t worry, you can catch up with everyone on the 10th of October in celebration of World Mental Health Day at the Grove Theatre. I suspect there may be a bit more cake too!